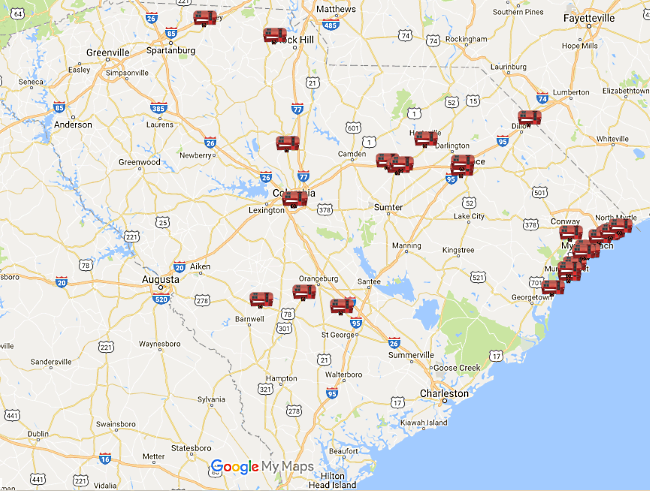 Below is a handy map with all the South Carolina locations we've featured on Strange Carolinas. Just click on a camper near where you'd like to go, and it'll bring up what's there, a picture of the attraction, and a link to our article about it. If you click on the thingie at the top left of the map, it'll even show you the map by categories. Check it out!